Rafale - yes another one ! 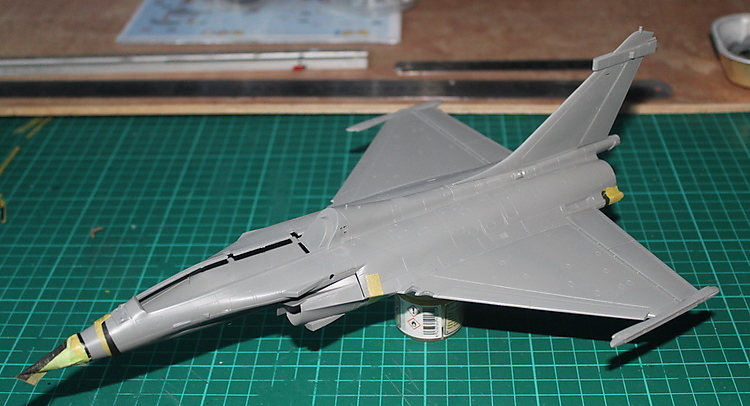 Yep fourth 'What If' Rafale, and as this is written no idea t all how it will look at the end of the process ! Is the Brotherhood of the Rafale reborn ? - Who can say. Re: Rafale - yes another one ! no idea t all how it will look at the end of the process ! Maybe the fuselage will be replaced by the coffee cup, no? 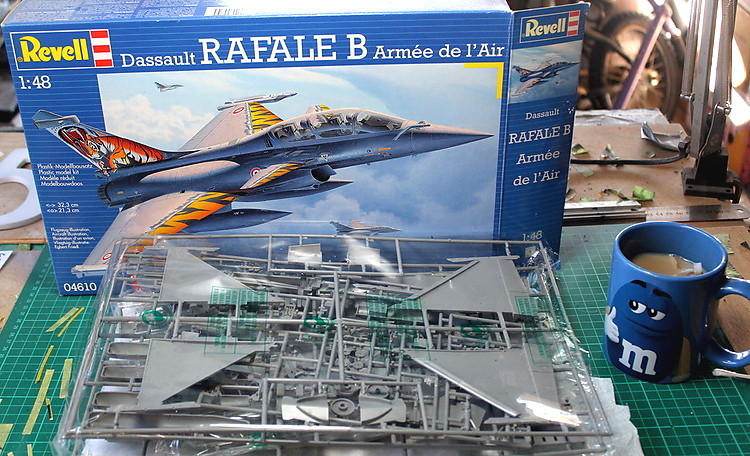 Looking forward to seeing what you do Ian, I have done three wiff Rafale's, and have another in the stash. I didn't really like them to begin with, but they grew on me. Yes, I was just joking. Nahhhh they got that wrong, the A-4 replacement was always going to be the AMX !! Ian, have you thought about switching the wings - moving the wing forward and making the canards be horizontal stabilizers? I don't think anyone's done that .... yet. 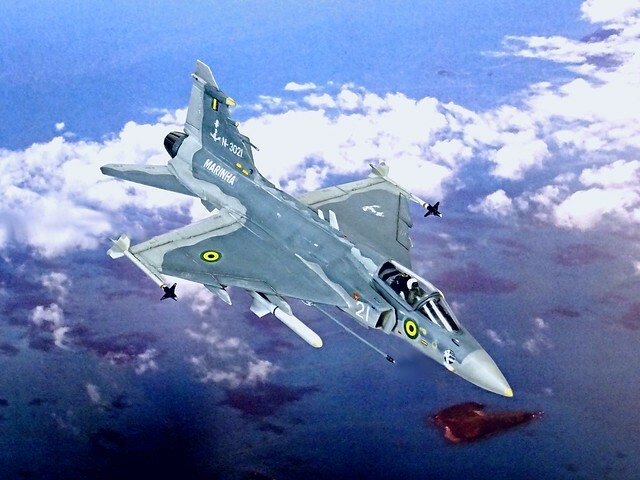 I did such a stunt on a (navalized) Gripen, and it looked cool! Should work with a Rafale, too. With the exception of the cockpit, all the sub-assemblies are in place. Not any more.... last one (Greek single seater) was six years ago - I recently re-found the model and did some new photos, if anyone is interested I will throw them into this thread. Of COURSE we're interested in seeing another 'Ian masterpiece'!